Our new Organic flavors are available only at retail stores. 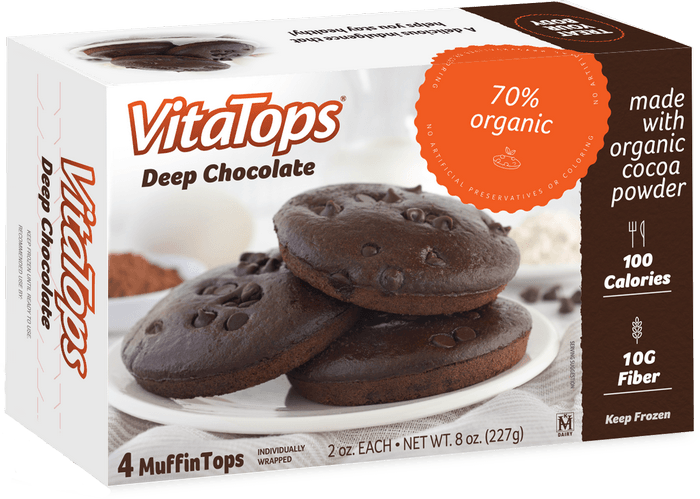 Enjoy amazingly indulgent chocolate muffin tops, made with organic ingredients like whole grain flour, oat flour, chocolate chips and cocoa. 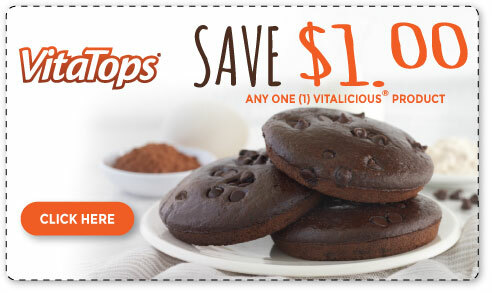 With only 100 calories each, you can feel great about enjoying this indulgent chocolate treat. Click here to find a store near you for our Organic flavors. 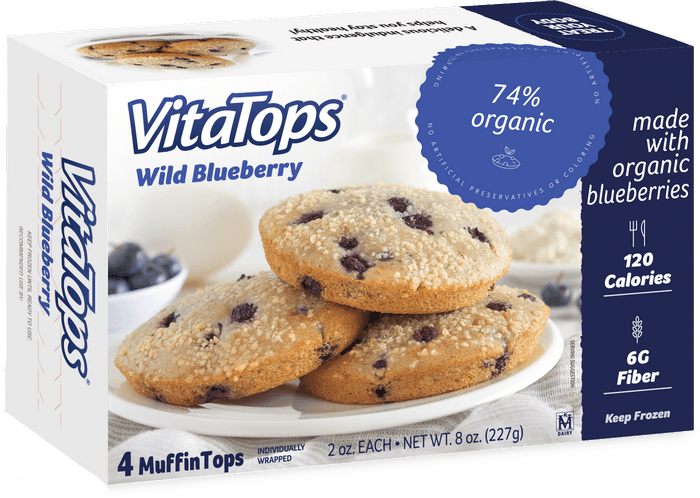 Enjoy amazingly indulgent Wild Blueberry Muffin tops, made with organic ingredients like, Wild Blueberries, Whole Grain Flour, and fruit concentrates. With only 120 calories each, you can feel great about indulging in our Wild Blueberry muffin. 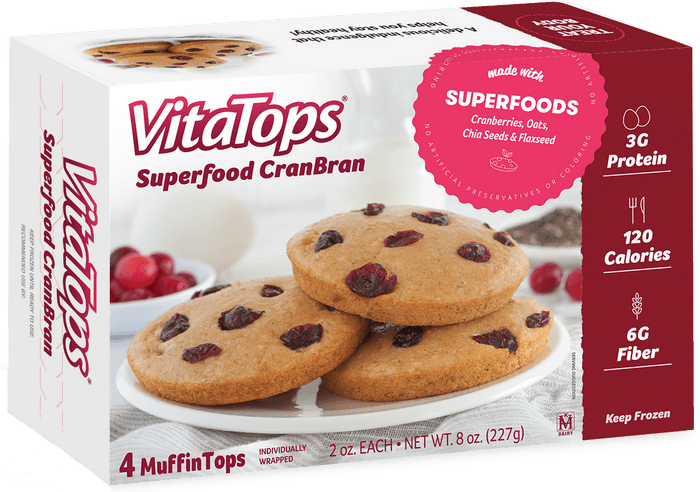 Our new Superfood CranBran flavor is available only at retail stores. Enjoy amazingly indulgent Cranberry muffin tops, made with superfoods to give you that extra nutrition your body needs like, Cranberries, Flaxseed, Chia Seed and Oats. With only 120 calories each, nourish your body with this indulgent muffin top. Click here to find a store near you for our Superfood flavor. Our new Gluten Free flavor is available at retail stores. Enjoy amazingly indulgent Gluten Free Chocolate Chip muffin tops! 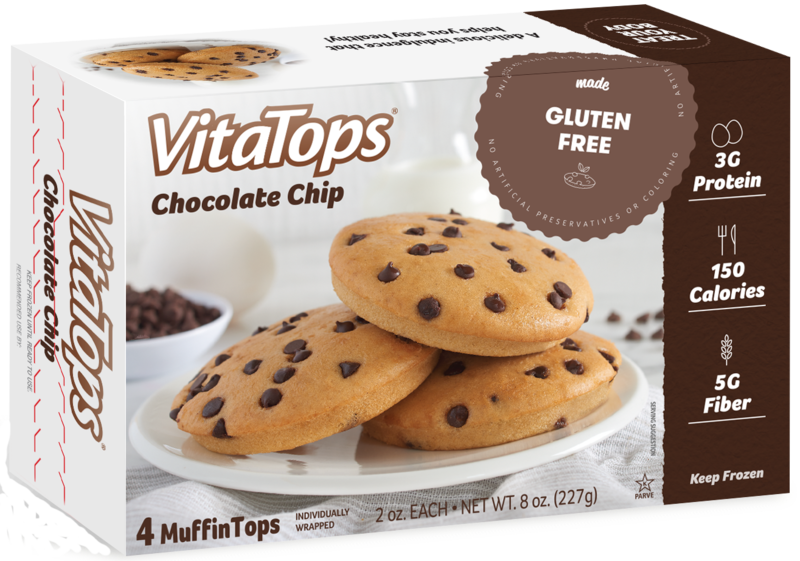 Packed with chocolate chips and only 150 calories, our Gluten Free Chocolate Chip muffin tops are a guilt-free treat you can feel good about! Click here to find a store near you for our Gluten Free flavor. Our new Protein Lover flavors are available at retail stores. Enjoy amazingly indulgent Chocolate Peanut Butter muffin tops while satiating your appetite. 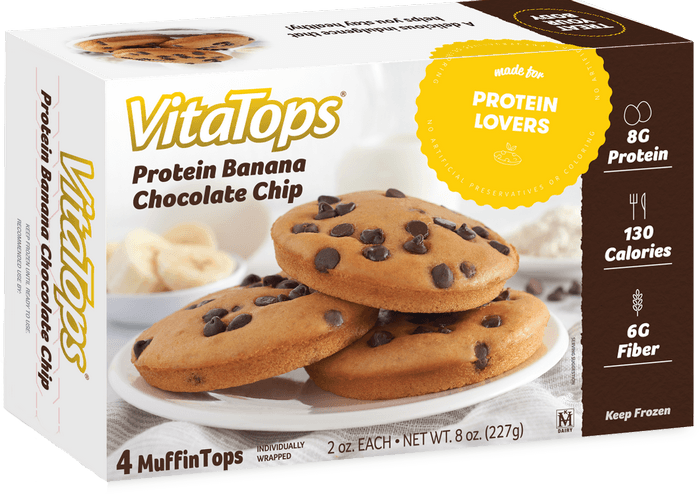 Packed with 8g of protein and only 150 calories, you can feel great about enjoying our delicious protein lovers muffin top. Enjoy amazingly indulgent Banana Chocolate Chip muffin tops while satiating your appetite. 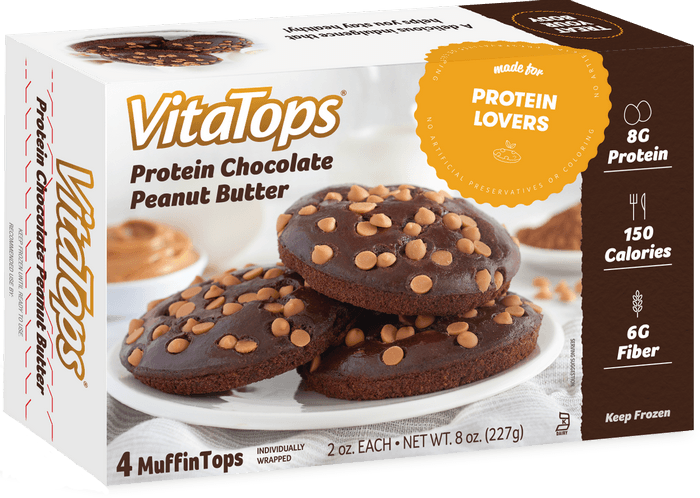 Packed with 8g of protein and only 130 calories, you can feel great about enjoying our delicious protein lovers muffin top.